Hi Everyone! Thank you so much for your interest in my work. Yes I have been working on this tome for several years now. I realized that the only solution was to break it back up into sections and let them stand on their own. 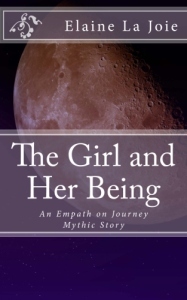 These books cover what it means to be an Empath, common Relationship issues for Empaths, Shamanic work and particular wounds and healing solutions for Empaths, Family Systems that Empaths tend to be born into, and friendship and partnership issues with archetypes Empaths tend to relate to. Each section refers to the other sections–my biggest challenge in writing was trying to introduce widely different topics and connect them together. Please let me know if you have questions or need clarification–such feedback helps me to write better books for Empaths. My five books for Empaths are now available in paperback and in the Kindle Store on Amazon!! The Archetypal Drama Triangle, Shamanic Energywork, and Motivations of the Empath, Shadow Work, and the Fan-Hero Family System are for sale there at a lower price. Please note that you will have 120 hrs to download your purchase. Please download your purchase right away and open it to make sure that there are no problems with your files. Email me right away if you have any trouble and I will be happy to help from my end. Motivations of the Empath–The Empath as Archetype: This book covers the basic description of what it is like to be an Empath, what motivates us, how we tend to become wrapped up in binds that prevent us from pursuing our creativity, how to unravel those binds so we can have the relationships and work that we really want. Also covered are other types of Empaths, the original family system of the Empath with the Fan as matriarch of the family, how to recognize if we have mother wounds, how to heal those, how to become better communicators, how to overcome self-consciousness and self-criticism, how to deal with our intuitive guidance, how to break out of facades and roles and more. This ebook assumes an understanding of the concepts covered in the Drama Triangle of Disempowerment ebook and the Shamanic Energywork ebook. The Drama Triangle of Disempowerment If you are interested in basic relationship dynamics that cause Empaths the most problems read the Drama Triangle of Disempowerment. Once the Empath understands how the Drama Triangle works, we are so much less likely to become ensnared in a painful and confusing relationship. We can spot our own tendencies to fall in to Drama (everyone does) and we can make a choice not to. Shamanic Energywork Also available is an introduction to Shamanic Work for those of you who have been considering working on deep traumas or ingrained patterns. Shamanic work is incredibly powerful and very helpful for Empaths in that we don’t need to get wrapped up in our Stories and our Emotions of what has happened to us. Besides this book, there are several essays under the Work With Elaine Energy Healing tab that describe client stories and sessions. The book will show how to work on the Mythic or the Souls Journey level of reality so we don’t spend so much time suffering at the Emotional and the Physical realms. My other books refer to shamanic work described in this book. The Empath and the Hero-Fan Family System This book is a compilation of essays describing the Family Dynamic of the Emotionally Dissociated Hero and the Fan. These essays were first published in 2009. Most have been revised and expanded, however if you bought them in 2009 you do not need this book. The Hero-Fan Family system is perhaps the most confusing family for an Empath to be a part of because these Families are incredibly stable but rely on appearances and ignoring the Shadow. People within the family are trained to ignore problems and suppress emotions. An Empath marrying into such a family can be happy to belong at first but then finds herself in the role of psychic garbage pail. The Empath tends to think she is going crazy because everything looks so good but underneath the surface everything is disturbed. Most Empaths have Fans as mothers. I describe the Fan and the relationship the Empath tends to have with the Fan. Also, I cover Secret Drama, a particularly painful Drama set up by Heroes, that Empaths tend to fall into. Included are essays describing Emotional Resonance that Empaths can feel between family members, scapegoating (Empaths are usually perfect scapegoats) and how the Empath can break free of the family system and heal old wounds and beliefs so we can truly be free. Also included is a description of breaking a generational imprint or curse and other shamanic energywork. 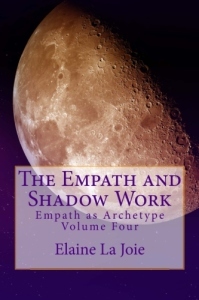 The Empath, Shadow Work, and the Mother Wound This book, first published in March 2012 describes the most common wound in human history–the Mother Wound. All of us were born to imperfect mothers. For some of us our mother wounds are easy to overcome because our mother or nurturing figure did a fine or an adequate job. For others of us our mother’s because of their own wounds or circumstances were unable to nurture us. As a consequence some of us fall into the pattern of looking for a perfect mother but being doomed to disappointment. Putting others on a pedestal and them smashing them off the pedestal is common behavior for unhealed Empaths. This book covers the Empath tendency to put others on a pedestal. But more importantly it also covers what can happen when others put an unwitting Empath on a pedestal. Once we understand this behavior in ourselves and in others we can step into maturity and power and select our relationships more carefully. Purchase all five non-fiction books for $50, separately $73. Enter the discount code: allebooks to receive $23 off your purchase. If you purchased an book and you see that it has been updated and revised since your purchase, please send me an email and I will provide you with the latest version. More is coming very soon! Please sign up for my blog to receive updates on the books and other updates to the website.